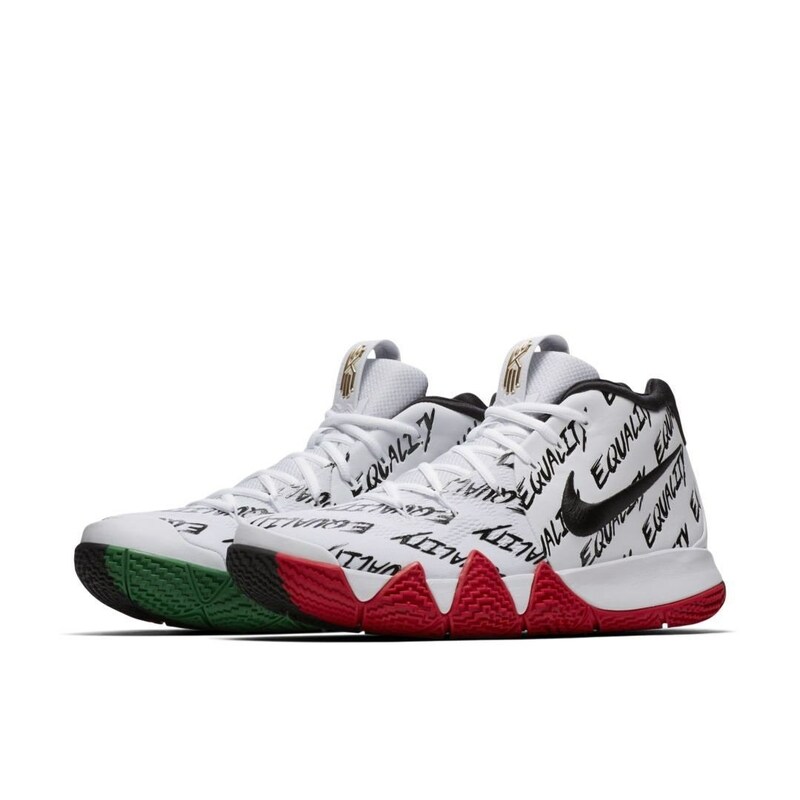 The yearly BHM collection returns this 2018 and for Nike Kyrie 4, the theme of "Equality" screams throughout, as it is written the whole upper in black text over the white upper which really sends the message in my opinion. 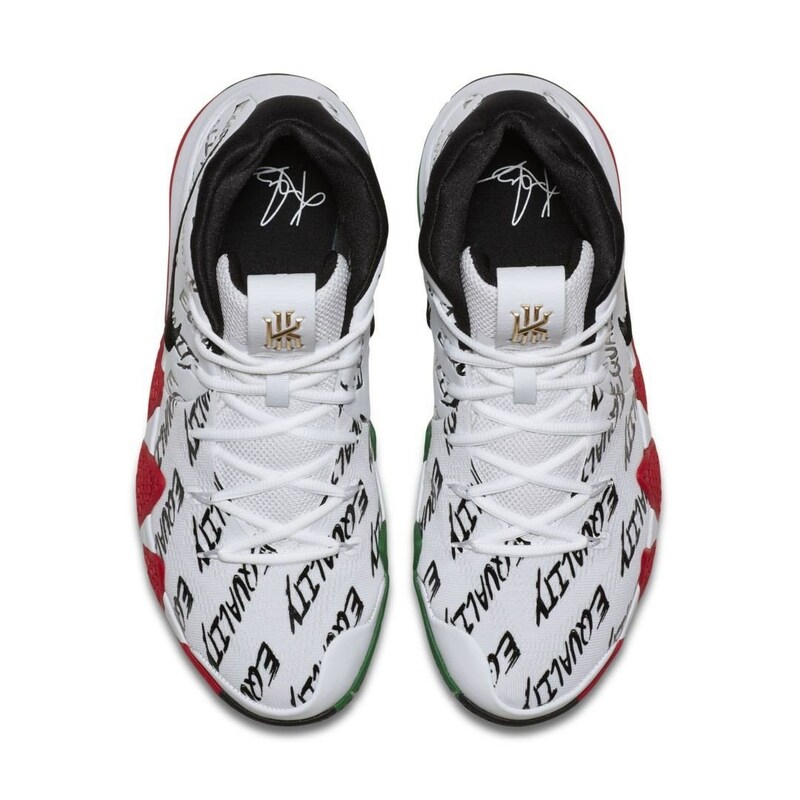 The Kyrie logo on the tongue is in gold while the swoosh logo on the side is in black as well just like the text. 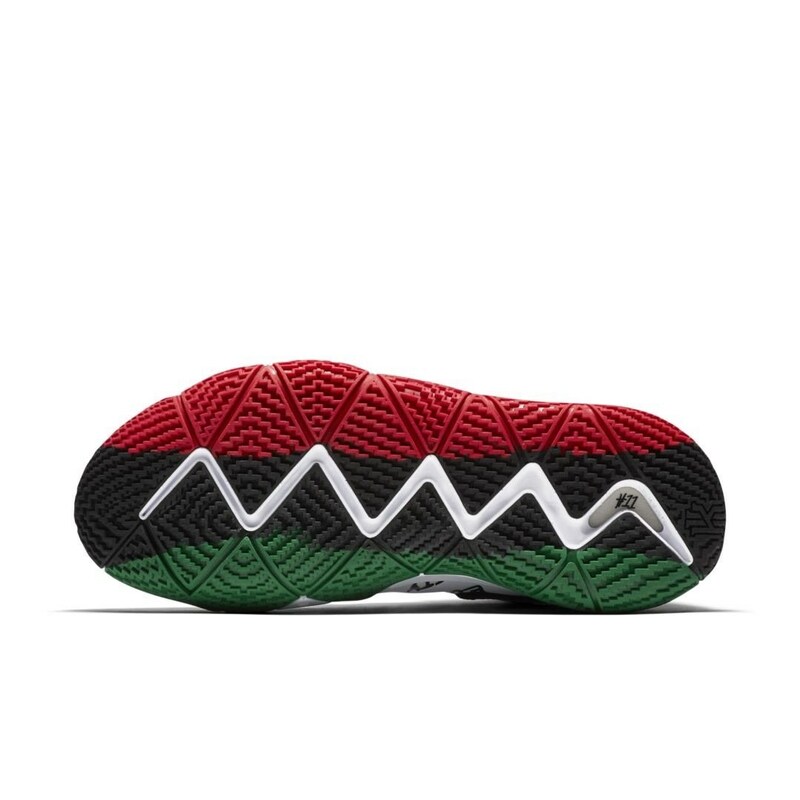 Underneath is a solid rubber outsole striped in red, black, and green which carries the same color as the Pan-American flag. 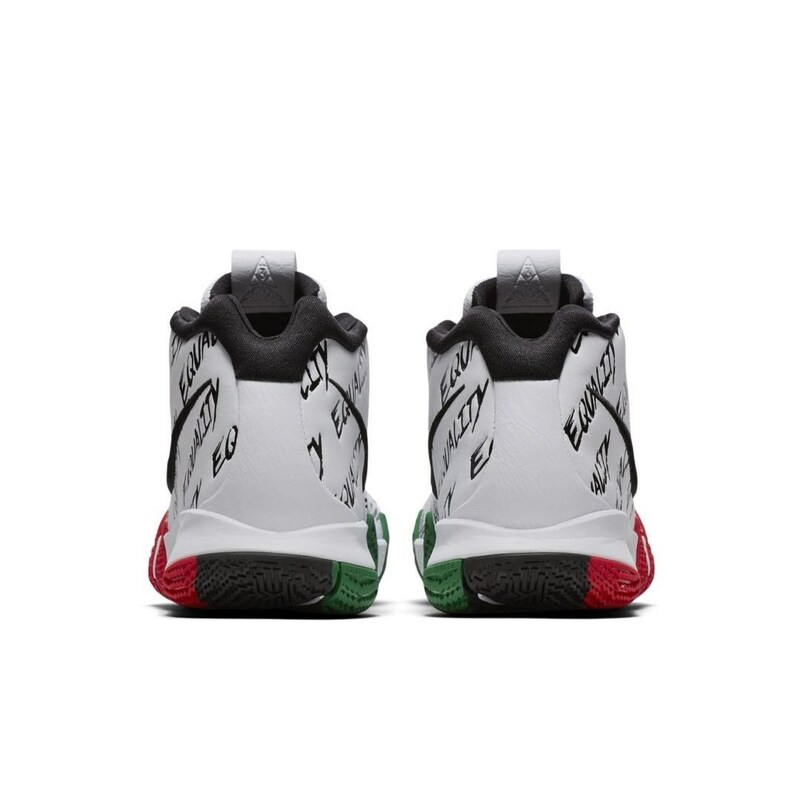 The said collection drops this January 15, 2018 for $120.